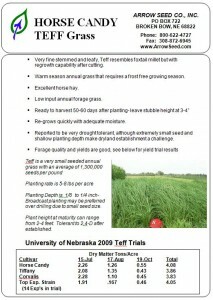 Very fine stemmed and leafy, Teff resembles foxtail millet but with regrowth capability after cutting. 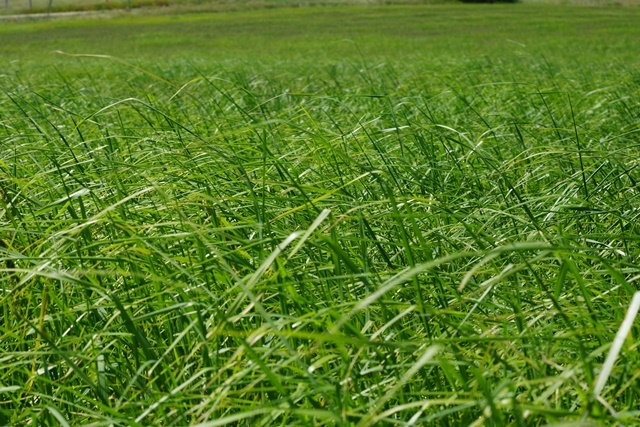 Warm season annual grass that requires a frost free growing season. 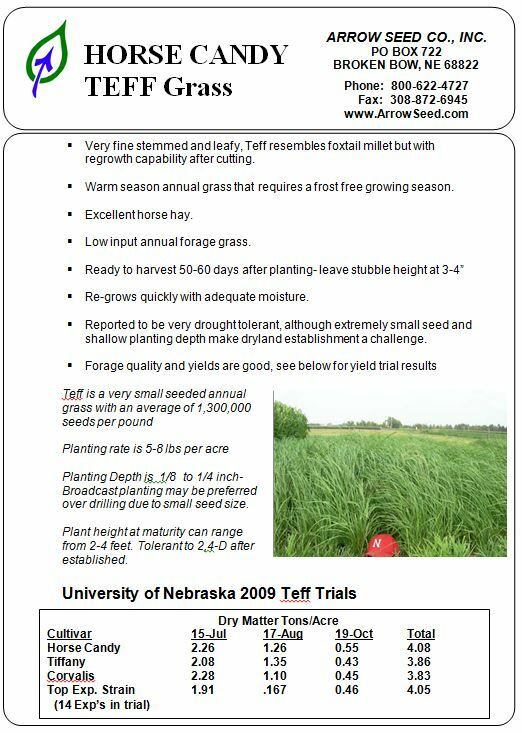 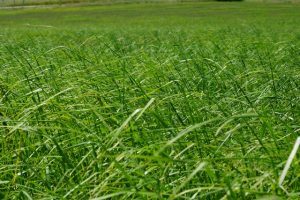 Good hay or pasture crop when late season plantings are required due to a crop failure.